properly brewed drink contains only traces of it; during the fermentation, the sugar is converted to lactic acid, carbon dioxide and other, rather harmless, substances. Anyway, if someone cannot stand pure sugar, even as a substrate, the good news is that coconut water and fruit juice can be used instead of sweetened water. Water Kefir grains are a specific mixture of more than four hundred bacteria and yeasts covered by a polysaccharide biofilm. The mixture contains the significant amount of Lactobacilli and Bifidobacteria, both genuses known as strong probiotics. A single grain can be as small as 1 mm or as big as a few cm in diameter. The size depends on many factors, like temperature or the mineral content of water used for brewing. Also, the colour is not always the same. The grains can be white, yellow and even brown and this depends mostly on the type of sugar they are fed on. Water kefir has very little in common with milk kefir, except that both are very healthy and contain beneficial microorganisms. Both drinks were given the same name probably because of the similar look of grains. Speaking of the name, Water Kefir is a thing of dozens names. I usually call it Water Kefir as it is the most commonly used name in Europe and US at the moment. However, my favourite one is Tibicos. It sounds delicate, romantic and female and it reflects the nature of the drink, that is mild in taste but powerful in its long-term effects. Other names for Water Kefir are Tibetan mushroom, Australian bees, African bees, tibi, Japanese water crystals, California bees, snow lotus, xuelian, sugar kefir and, as I said, dozens more. The main biological component of Water Kefir grains are bacteria of the genera Lactobacillus, Acetobacter, Gluconobacter, Leuconostoc and Bifidobacterium and Saccharomyces yeast. Therefore, Water Kefir makes a highly probiotic drink. It is believed that it has miraculous health properties like tranquilising effect on nervous system, reversing menopause, easing joint pains, preventing cancer and much more. This matter is not well researched scientifically, so it’s hard to say if that’s true. It hasn’t cured any of my personal ailments, simply because I haven’t had any since started drinking it; or at least, I am not aware of them. So, I will let you know in about a decade what’s the story with reversing menopause. I hope I will keep brewing and drinking Water Kefir a.k.a. Tibicos till then, because I enjoy it. The process is very simple, and the drink can be really tasty especially if you experiment with different flavours. 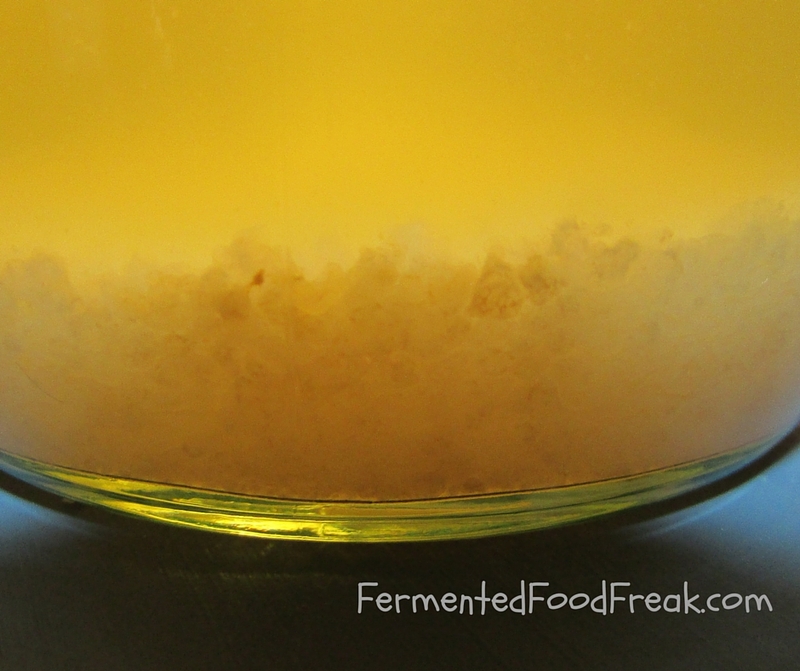 I write about how to make Water Kefir in my another post, so stay with me! Analysis of the bacterial community of water kefir. Water Kefir Microbial Composition and Rapidly Growing Yeast. Antioxidant Potency of Water Kefir. For more entertaining yet still informative reads go to Kombucha Kamp.